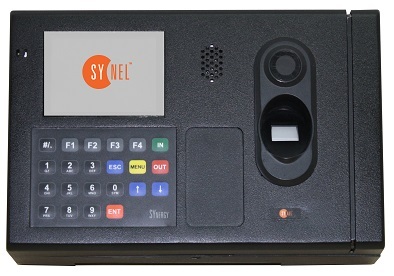 Synergy the time and Attendnace terminal from Synel Mll PayWay is a Linux-based fingerprint biometric terminal. The Synergy terminal available in a new meal case for hard work environment, such as the mines, constructions arear and manufacturing. The SYnergy in Metal case with the fingerprint biometric technology, graphic color screen, camera and a speaker for confirmation and rejections alert and with external inputs and outputs for time & attendance and access control systems. Mr. Erez Buganim, Synel International Marketing Vice President, said that Synergy is one of the only online time and attendance terminal that using the internet lines.